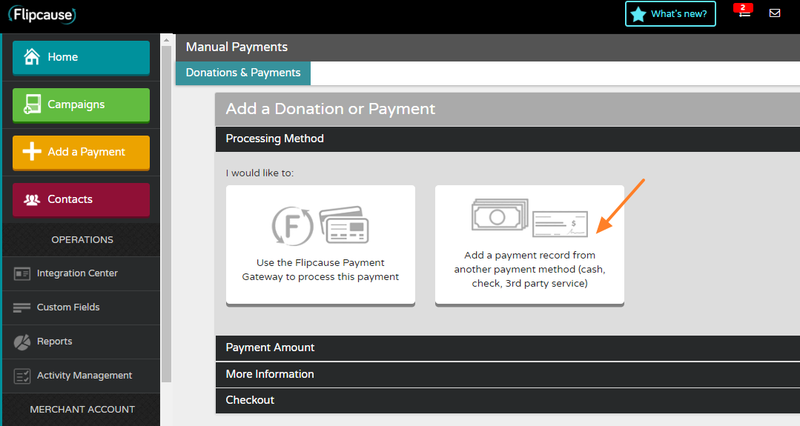 To add a payment made offline to an individual's fundraising page, start by going to the Add a Payment section of the Flipcause Dashboard and select the second option, to log a cash/check payment. Once selected, enter the amount of payment, pick the payment method and date, and then click Add More Information. Now you can determine where you want these funds to go. 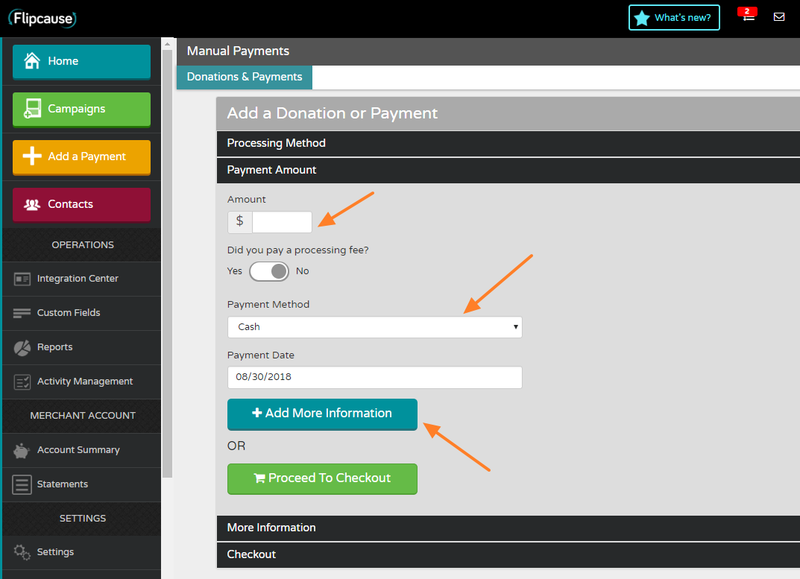 After choosing the appropriate Peer-to-Peer campaign, you'll see one of the options is the "Referred By" field that allows you to select the individual whose peer page being will be credited with the donation (this is optional). Proceed with filling out the relevant information and complete this transaction. 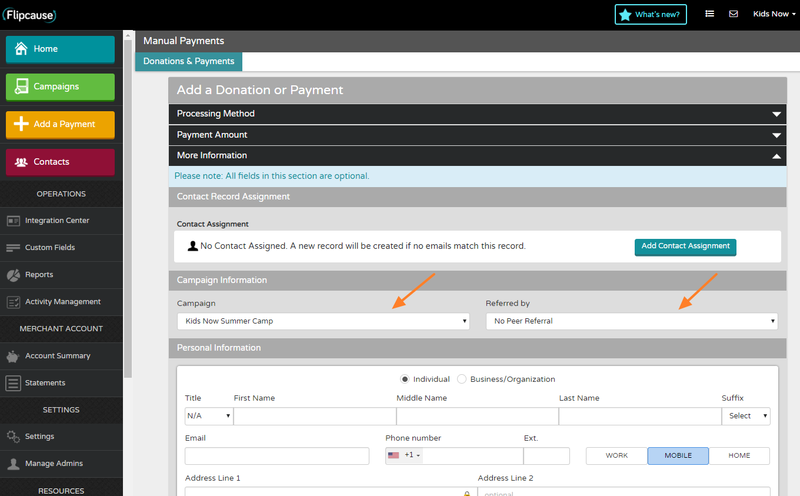 This will not only add the full transaction record into your Flipcause database for that campaign, but will also affect the progress meter for the campaign. After clicking Proceed to Checkout and Finish, your offline donation will be recorded on the individual fundraiser's page as well as the parent campaign.